A British reader and friend of the blog passed along this link to me this morning. It’s from the UK publication The Guardian, interviewing filmmaking Steve Simmons about his newest production, Crosswords. 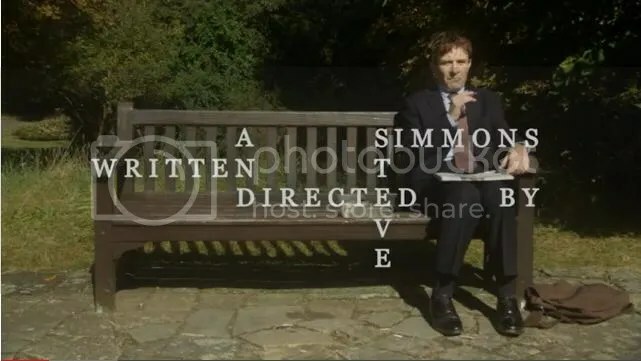 The seven-minute short film takes us into the thoughts of a man puzzling out various crossword clues, even as he’s distracted by an attractive woman who shares his park bench. Seeing synonyms and red herrings pass before the solver’s eyes (and settling onto the screen) was a marvelous touch, reminiscent of some of the visual panache of BBC’s Sherlock. The silent film style adds a touch of tongue-in-cheek flair and melodrama to the whole affair, making for a thoroughly enjoyable short. On second thought, maybe I’ll leave it to pros like Simmons. This entry was posted in Puzzles and tagged crosswords, DIY puzzling, Geeking Out, Pop culture, Puzzle to solve, Puzzlin' fool, short film, Steve Simmons, Wordplay by gmdirect. Bookmark the permalink.